A beloved guest at Mockingbird Bay Resort. 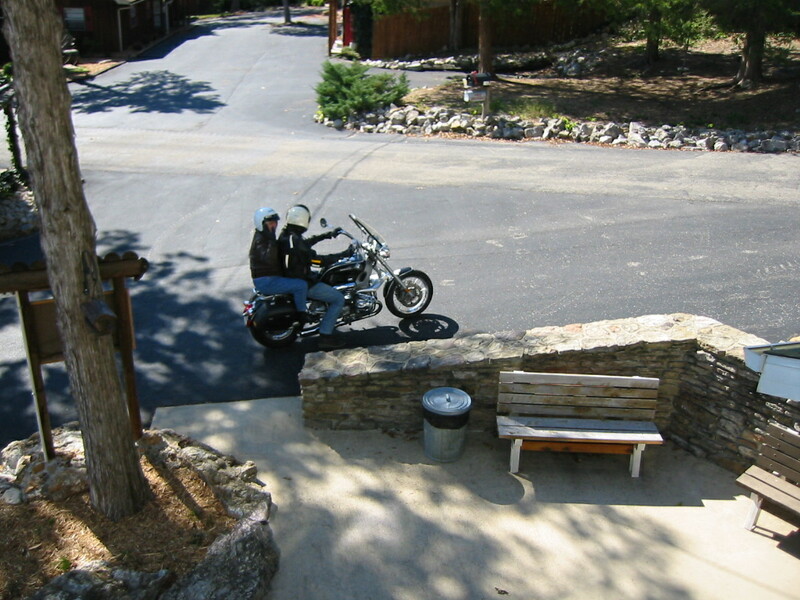 Ozark scenic bike rides abound, motorcycle riders love it here. 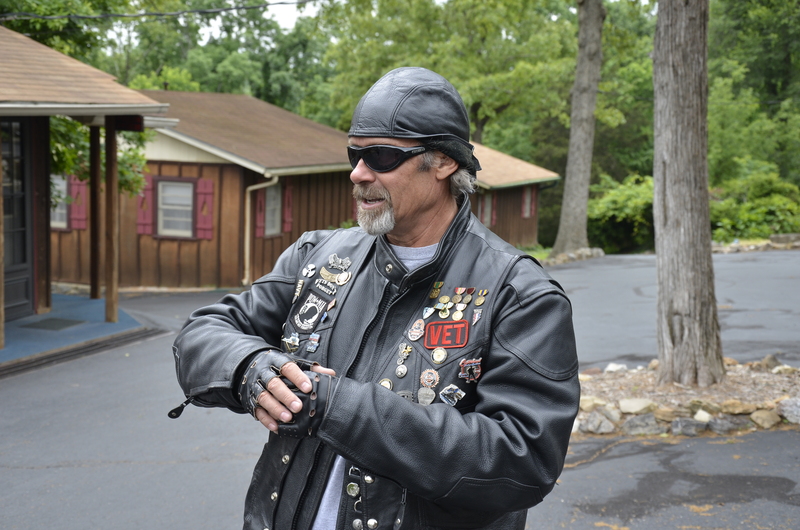 The roads in Arkansas lend themselves to some really pretty scenic tours for bikers. The Ozark Mountains with their wildflowers and brilliant autumn colors make routes especially popular. 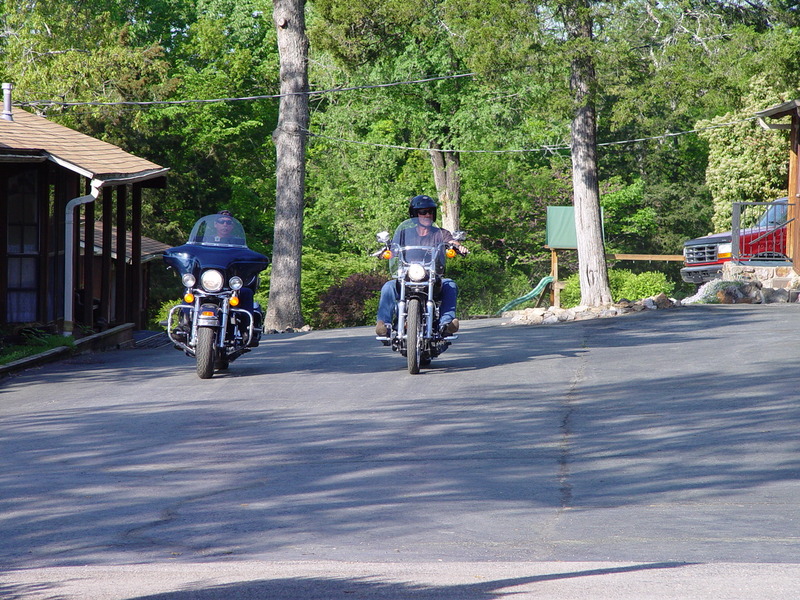 We have plenty of hairpin turns, straightaways, and dropoffs where the cliffs seem to be right next to you — so you’ll need to know your game when you ride your motorcycle to Mockingbird Bay Resort. Just take your time and lean into the curves… You’ll be here in no time. We have a blacktopped/paved resort (no gravel), so you’ll appreciate that. Enjoy a cabin here for Home Base while you take day trips around the area to see the sights and take in the local flavor! Swim in the pool or fish off the dock before BBQing on the grill and relaxing by the firepit. Call to reserve your cabin! 870-491-5151. See you here! This entry was posted on Sunday, March 9th, 2014 at 6:21 pm and is filed under Natural Wonders, Resort Guests, Uncategorized. You can follow any responses to this entry through the RSS 2.0 feed. You can leave a response, or trackback from your own site.